Apparently there is a correct way to hold a microphone pole and an incorrect way. The correct way is to balance the extension pole on the ground, safely cushioned by a foot so that the pole does not sway or move overly. It is also advisable to put the end of the pole directly on the ground and held securely against the foot, not on top of the foot (encased in a shoe) and not to the side. The latter ways allow for movement and slippage. Once the art of the pole holding has been established, then it is time to move onto the more elaborate and skillful job of pole moving. Pole moving is required when the microphone is needed to get closer or further away from the subject and also to ensure it does not come into shot. Apparently there is a correct way to relocate a microphone pole and an incorrect way. The correct way first involves continued contact with the end of the pole against the foot on the ground. This should be solid and stable. Then the trick is to slowly release the pole gently through the hands, slipping it firmly but gracefully in an either upward or downward motion, while maintaining at all times firm contact on the pole. The incorrect way is to tip the entire body forward, stretching as far as one can go, in an effort to extend the end of the microphone nearer to the subject. Such movement, while both ungainly and awkward, can also result it falling over or unbalancing. And definitely in raucous laughter from all watching. I find it is always refreshing to learn new skills. 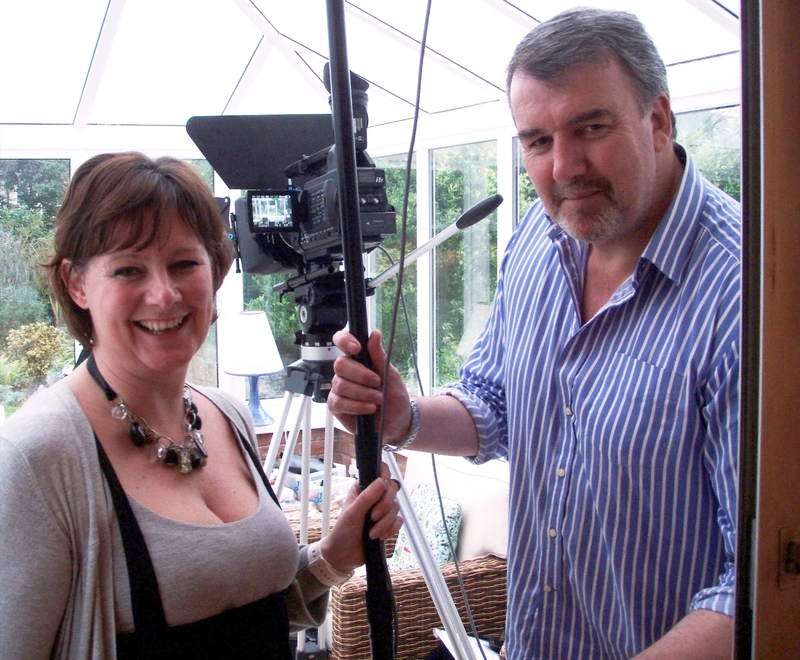 After Sunday’s filming on #DepressionHurts I find I am now skilled at both microphone pole holding and moving. As one who witnessed the change from raw trainee to fully trained pole holder and pole mover, I can only add – the writer was a natural :).